Relishing in its superb central New Lambton address, delivering a separate one-bedroom granny flat and offering prized rear lane access complete with approval for a double garage and carport, this single level home provides everything a growing family needs. Recently refreshed with internal paintwork and kitchen updates, additional floorplan highlights include three bedrooms, a large scale living room and dedicated dining area. Ducted air conditioning and a secure yard adds further appeal as does its prime location that's a quick stroll to Wests Leagues Club, New Lambton Village and sought-after schools. * Solid, single level home with a traditional three bedroom layout. * Recently painted throughout in a warm and neutral colour palette. * L shaped living and dining zone extends to an updated kitchen. * Well kept retro style bathroom, internal laundry facilities. * A separate granny flat boasts a bathroom plus kitchen with new oven. * Family sized yard featuring an established veggie patch and fruit laden fig tree. * DA approval to add a double garage and carport at the rear lane entry point. 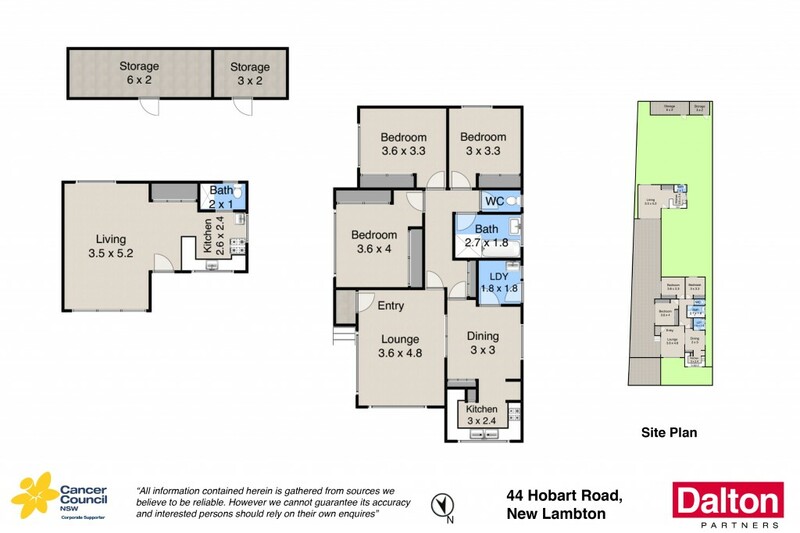 * In the catchment area for popular New Lambton public and high schools.